The closing date to apply to the 2019 Basic Payment Scheme (BPS) is 15 May 2019. 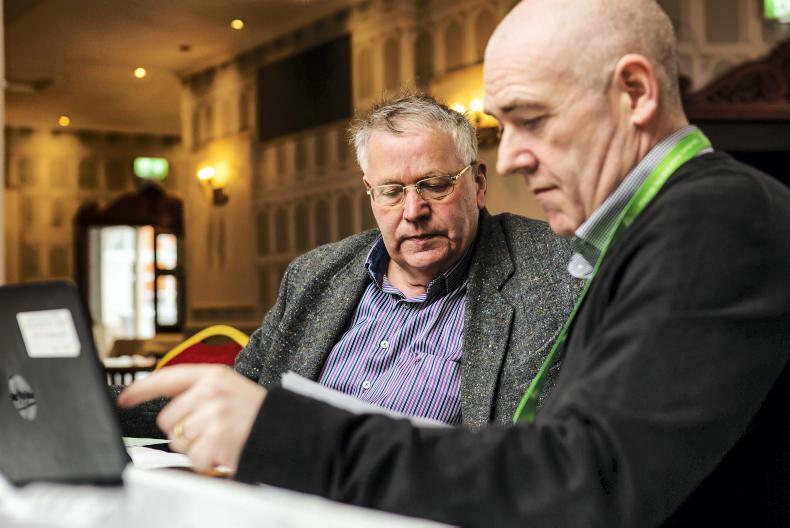 Mary Moore from the Department of Agricuture's Direct Payments Unit assists Tom Lee from Ballymahon in Co Longford at the BPS Clinic in the Longford Arms Hotel. \ Philip Doyle. Department of Agriculture staff will be able to assist farmers who are applying for the 2019 Basic Payment Scheme (BPS) at a number of locations around the country. Staff will also help farmers with transfer of entitlements applications. From Monday 15 April, Department staff will be able to assist farmers at the following locations from 9am to 3pm. Monday: Department of Agriculture offices, Farnham Street, Co Cavan. Tuesday: Shearwater Hotel, Marina Point, Ballinasloe, Co Galway. Wednesday: Arklow Bay Hotel, Sea Road, Ferrybank, Arklow, Co Wicklow. Thursday: Firgrove Hotel, Mitchelstown, Co Cork. The closing date for applications to the BPS scheme is 15 May 2019 and since last year all applications to the scheme have to be made online. 076 1064 424 in relation to queries on registering for www.agfood.ie – for example queries on lost passwords, how to register etc. 076 1064 420 in relation to queries on actually completing the BPS application once registered on www.agfood.ie or to enquire about the one-to-one clinics. The Sustainable Uplands Agriculture-environment Scheme (SUAS) inspired visitors from all over Europe this week. The SUAS project hosted a field trip for a delegation of 60 participants from 22 EU countries in the Wicklow and Dublin uplands on Tuesday. The visit was part of a showcase of Irish pilot projects funded by the EU's European Innovation Partnership (EIP) initiative. Among over 1,000 EIP projects in Europe, 23 are in Ireland, including the €1.95m SUAS. Their number is expected to rise to 3,000 in the next two years, with further developments likely in the next CAP period. The SUAS project team showed visitors how they are working with local farmers and commonage groups to address the agricultural, environmental and socio-economic issues in the Wicklow and Dublin uplands. The role of project ecologist Faith Wilson is to conduct ecological and water assessments to sugggest measures farmers can choose from to improve natural habitats. Payments for actions such as vegetation removal, increased shepherding or livestock infrastructure will be available. 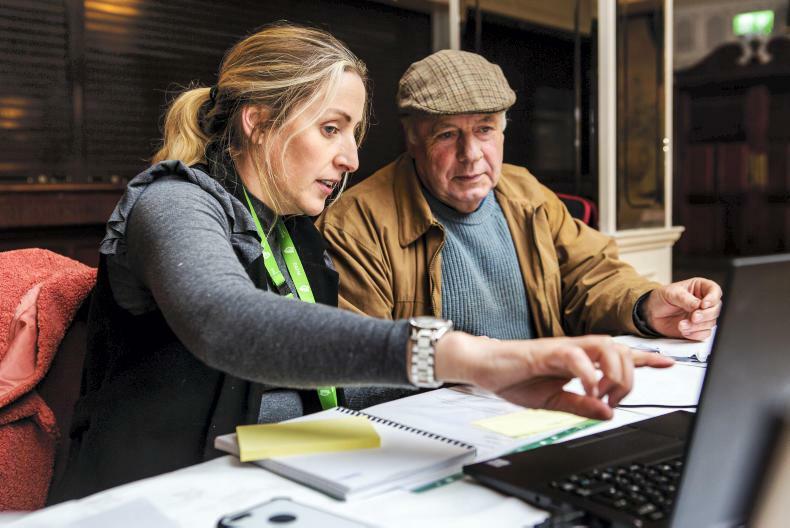 An auction-based system also encourages farmers to seek support for actions solving problems they have identified themselves. Measures envisaged here include signage for archaeological sites, heather restoration, temporary fencing to protect rare species and bracken control. 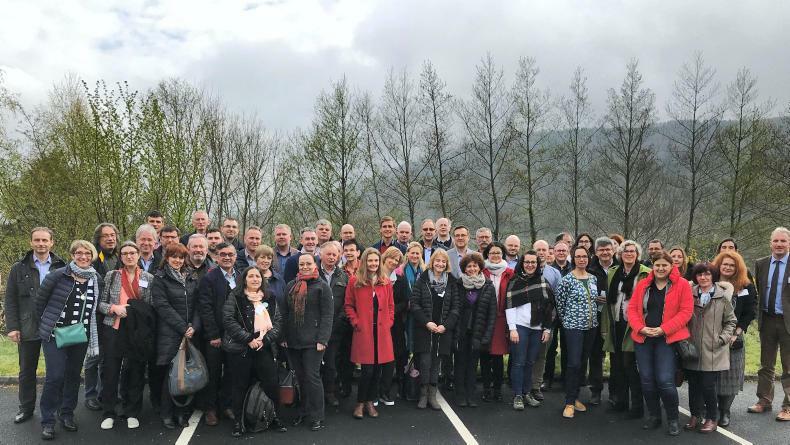 Leading the EU delegation, Inge Van Oost, policy officer at the European Commission's Directorate General for Agriculture and Rural Development, said: “The meeting in Ireland was an absolute success, with many of our participants very enthusiastic about the EIP operational groups they saw and heard about during the visit. It was nice to learn more about the SUAS Project from the group leading it and to observe the upland region where its impact will be felt”. The deadline for submitting the Basic Payment Scheme application is 15 May. Farmers need to be aware that the deadline for the Basic Payment Scheme (BPS) online application is 15 May 2019. It is an extremely important part of the majority of farmer’s income and if at all possible should not be left to the last minute. Farmers can make the application themselves or through an agent. This is also the deadline for the Areas of Natural Constraint (ANC) scheme, Young Farmers Scheme, transfer of entitlements and National Reserve applications. The Department is assisting farmers via one-to-one clinics country-wide. Details are available on farmersjournal.ie. Austin Finn from the Land Mobility Service answers some common questions we have received recently when it comes to income tax exemptions for long-term leases. Last week in this publication, we ran an article on the points to consider if leasing out farmland. We received a number of queries regarding the tax exemptions available to landowners considering leasing out their farms. Austin Finn from the Land Mobility Service took the time to answer the two most common questions in more detail. Q: How do the tax exemptions work if you have a number of different leases with different term lengths? What if you owned the land jointly with your spouse? €18,000 where all the qualifying leases are for five or six years. €22,500 where all the qualifying leases are for seven but less than 10 years. €30,000 where all the qualifying leases are for 10 but less than 15 years. €40,000 where all the qualifying leases are for 15 years or more. The income tax reliefs are per land owner, they are annual and certain conditions must be met for a lease to qualify. If a land owner has a number of different leases, the exemptions and lease values are cumulative. If an owner has three seven-year qualifying leases with different farmers and the combined lease values of the three leases is €22,000 per year, the full € 22,000 is exempt from income tax. However, if the combined annual lease value is €24,000, the annual income tax exemption is capped at €22,500. The annual income tax relief is per land owner, so if land is jointly owned (two land owners), the thresholds are doubled. 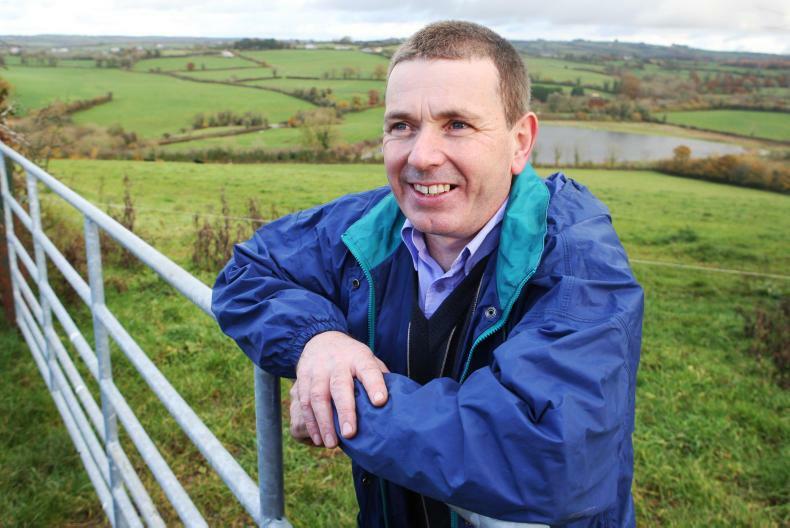 A retiring farming couple who jointly own the farm could receive up to €80,000 per year income tax-free, should they enter into a qualifying 15-year lease. Q: I am thinking about retiring from farming and am really considering leasing my land to another farmer long term to avail of the income tax exemptions. My only concern is if I transfer the land to my children in the future, will they have a large tax bill to pay because we are no longer farming the land? A: Entering into a long-term lease does not affect the capital tax reliefs available to farmers. The two main capital taxes to consider when transferring or disposing of a farm are capital gains tax (CGT) and capital acquisitions tax (CAT). CGT can apply to the disposer should a land owner decide to sell or transfer his/her farm during his/her lifetime. Any land owner over the age of 55 who has farmed the land for at least 10 years qualifies for CGT retirement relief – they can have leased the land for up to 25 years subsequent to the 10 years farming and still qualify for this relief. CAT is payable by the recipient of the farm (farm land, farm assets, agricultural assets). The most important relief for any recipient of an agricultural asset to try to avail of is CAT agricultural relief. To secure this relief, the recipient must satisfy an 80% asset test. This means that upon receipt of the asset, 80% of their assets are agricultural. To hold this relief the recipient must either actively farm themselves for six years or lease the farm to an active farmer for six years or a combination of both. The definition of active farming in this regard is to demonstrate 20 hours per week work on the farm. If the person has a Green Cert, there is no requirement to be able to prove hours worked. If a person qualifies for this relief, the value of the asset transferred is reduced by 90% for CAT purposes, with this reduced value and the available tax-free threshold (currently €320,000 parent to child cumulative) no CAT should apply. Whether or not the farm is leased prior to the transfer does not affect CAT agricultural relief. In fact, having a qualifying lease in place can help, especially for non-farming recipients, as extending the lease for up to six years post-receipt helps them qualify for the CAT agricultural relief.